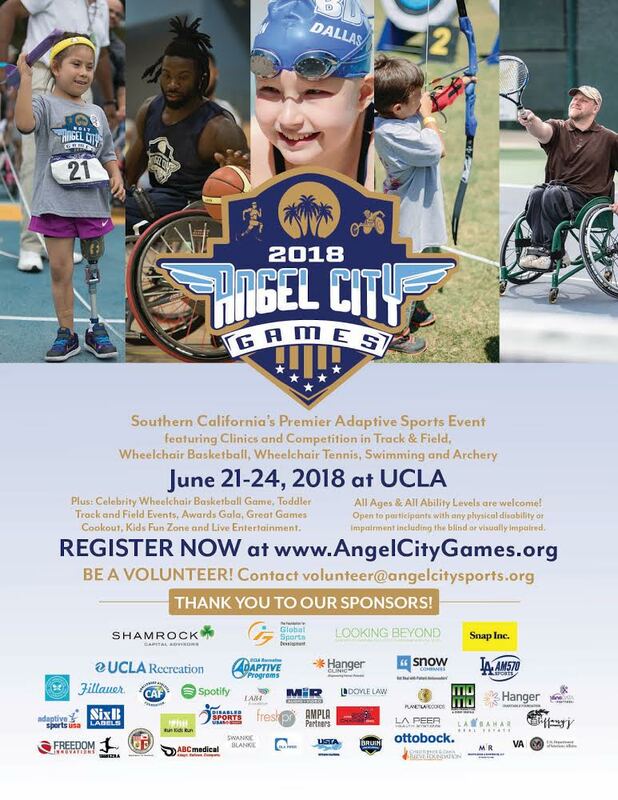 We are thrilled to announce Registration is now open for the 2018 Angel City Games, June 21-24 at UCLA! Sign up now for any of the 5 Clinics and 5 Competitions at this year's Games! with any physical disability or mobility impairment including the blind or visually impaired. SPACE IS LIMITED FOR EACH CLINIC AND COMPETITION. Join us AT THE COURT, FIELD, RANGE, POOL or Track!